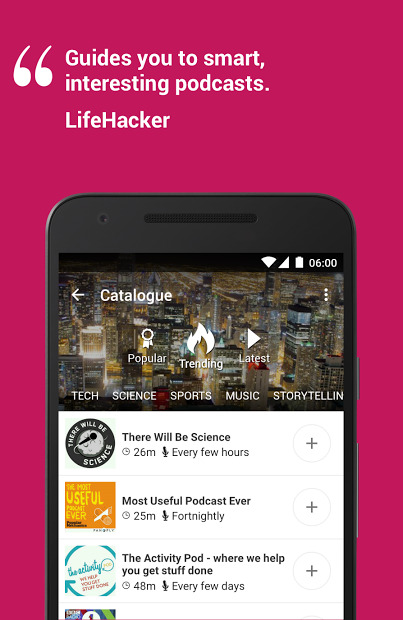 Podcast Player app syncs across devices with a cloud system, to make it easier to pack your podcast together, helps you discover great shows, and plays offline. 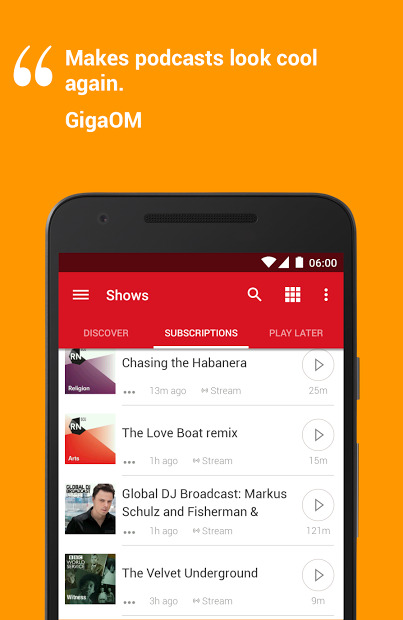 Its features, besides to play podcasts offline are: video playback, Companion web app, Speed control, Sleep timer, Material design, Search 3 million episodes, Personal recommendations, Homescreen-lockscreen widgets, Interactive notification, Play local files, Flexible settings. Need for more? It also cast to Chromecast and Android Wear!